It shall forever be known that the efforts of whiny racists on Facebook don’t actually amount to much in the world of Rotten Tomatoes, as the attempt to torpedo Black Panther’s rating on the review aggregation website earlier this month was so unsuccessful that Ryan Coogler’s Marvel movie now has the best Rotten Tomatoes score of any live-action superhero movie ever (including both Marvel Studios and DC). Don’t be fooled by that “live-action” qualifier though, because the only reason it’s not standing alone at the top of all superhero movies is because it’s actually tied with Pixar’s The Incredibles at 97 percent fresh. 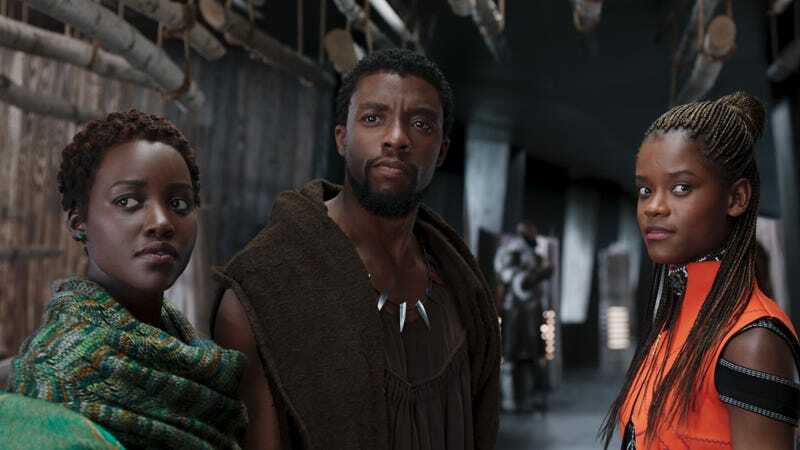 This was pointed out by The Wrap, which also notes that Black Panther topped previous live-action record holders Iron Man and The Dark Knight, both of which landed at 94 percent. Black Panther’s rating might dip a bit once it actually hits theaters and more reviews are posted, but there’s still a slim chance it’ll keep holding this score through the weekend and claim the official title of Best Superhero Movie Ever (according to the Rotten Tomatoes score). The Wrap also notes that superhero movies in general have been coming in hot lately, with Logan, Wonder Woman, Spider-Man: Homecoming, and Thor: Ragnarok sitting pretty with scores over 90 percent. Movie fans may claim they’re getting tired of the constant cape stories, but at least the studios are settling into a nice groove.